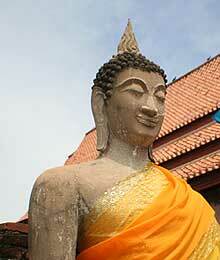 Ayutthaya, Thailand -- Unesco's Buddhism projects in Asia are faced with financial uncertainty. After eight years of assistance from Unesco and the Norwegian Foreign Affairs Ministry, Buddhist crafts and rituals are flourishing in over a dozen project sites stretching from Mongolia down to Cambodia and Thailand, over to Sri Lanka and up to Nepal. With the drying-up of funding and the final three-day workshop in Ayutthaya that ended on Friday, groups involved in the projects are now finding ways to sustain the impact, but they may not necessarily share the same strategy or have the same level of readiness. Those in Kandy, Sri Lanka, for example, said they were ready to seek domestic funding and have expressed confidence that their project would carry on even without outside support. The Tai group from Xishuangbanna of Southern China's Yunnan province feels that outside help is still essential, however. 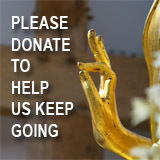 "The problem in the future is securing funds that will help preserve old [artefacts] and restore Buddhist arts. We're like a patient without money to buy medicine," a representative from Xishuangbanna told the project evaluation workshop on "Cultural Survival and Revival in the Buddhist Sangha". A Laotian participant expressed the same sentiment, but the Unesco regional adviser for culture in Asia-Pacific was quick to stress the inevitable - that cash input through Unesco was not "going to go on forever" and to preserve such hope was "unrealistic". Tangible and intangible accomplishments appear to have been already achieved over the years, however. In Mongolia, the revival of Buddhist decorative arts and crafts like woodcarving and ceramics is remarkable given that from the 1920s to 1990s most temples were abandoned, if not destroyed, for political reasons, and only a few old monks were left. 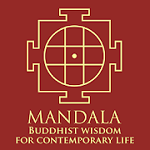 "This training is very new for Mongolia," said the venerable Lama Khishigt Davaa, head of the Dambadarjaalin Founda-tion. At Rajbo Temple in Cambo-dia's Siem Reap province, the project has helped monks revive mural painting, gold-leaf stencilling and woodcarving. In Ladakh, northern India, the decline in the numbers of Buddhist monks and introduction of cost-effective new technology meant woodcarving was on the verge of disappearing altogether until the project was introduced. And in northern Thailand's Nan province, the project breathed new life into vernacular Buddhist arts such as gold-leaf gilding and lacquer ware. But those involved in the Thai project are cautious about drawing conclusions. "We cannot say it's successful yet. It's a bit too early," said MR Rujaya Abhakorn, project mentor for Thailand. "I think the measure of success is the [recognition of the] value of heritage by the general public." Rujaya raised the issues of sustainability and authenticity. While it's good to revive Buddhist woodblock printing in many areas, such printing is archaic in a modern world where people "talk about e-books". Using the skills to make tourist souvenirs might bring in income, but it might also adulterate the authenticity of the culture, he said. Lama Kunga Hochotsang from Sikkim, India agreed. "We must create awareness about authenticity," he said. Thunga paintings sold to tourists are not usable in temples, he added. Others like Assoc Prof Phra Sudhivorayan, deputy rector of foreign affairs at Mahachulalongkorn Rajavidyalaya University in Ayutthaya, said the way forward is to embrace tourism along with marketing and form a triangular strategy together with the preservation of Buddhist arts. Another participant said linking up with modern industries like tourism to produce "objects of economic marketability" could be an option. But while the debate continues and different groups may have different answers, the workshop agreed that networking among monks of various nations and traditions as well as the exchange of know-how should continue. "We have a lot to learn from Theravada Buddhism, such as adopting simpler robes, but Theravada Buddhist monks can also learn about abstaining from meat," said Rimpoche Choekyi Gyaltsen Minyag of Guwa Monastery in Sichuan, China. "It's a good opportunity for us to learn from each other."